Why limit yourself to just a jacket or just a vest? It's crazy to pack both, but now you don't have to. 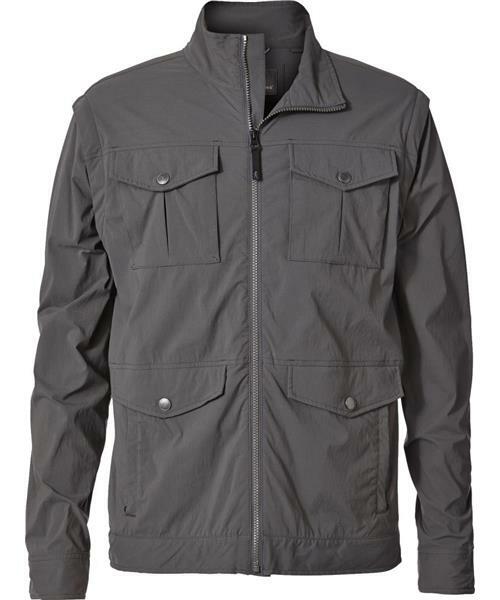 The Traveler Convertible Jacket converts quickly to a vest with zip-off sleeves. It's tailored for your next adventure with sleek style lines and lightweight fabric are versatile for city explorations, while the UPF protection and water-resistant, quick dry properties keep you performing in the outdoors. It's comprehensive pocket system is designed to keep camera equipment, large smarthphones, and passports secure. Don't change clothes just because the temperature changes - change sleeves. Made with eco-friendly, non-fluorinated Ec-0 DWR™ water resistance technology.